Spring is finally here, the sun is shining and the cold is slowly melting away. As we shift into a new season, we must remember that our daily needs are shifting too. Winter was a time for restoration, but now with the blossoming of Spring, we must begin to incorporate more movement and lightness into our daily habits. A powerful way to begin to shift this energy and flow with the seasons is to incorporate these changes into our Yoga routine. 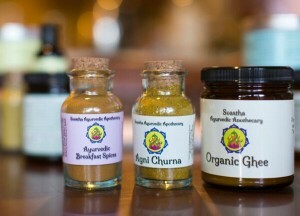 According to Ayurveda, Spring is the time of year for Kapha. Since Kapha is comprised of the Earth and Water elements, we must work with the opposing elements by utilizing more Air, Space and Fire energy in our Yoga postures. This means that we will need poses that incorporate movement (Air), promote lightness (Space) and increase heat (Fire) in the body. Spring is also the time of year for congestion, allergies and detoxification. Not surprisingly, all of these factors carry a strong Kapha component. 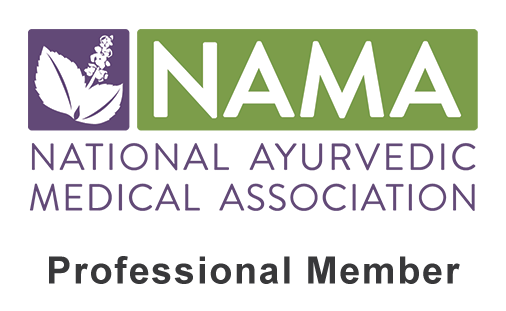 Therefore, by practicing a Kapha-reducing Yoga routine, we will simultaneously be clearing away congestion, alleviating allergies and detoxifying our system. If you have experienced winter weight gain, a Kapha-reducing Yoga routine is also a healthy and beneficial compliment to a Kapha-reducing dietary regimen to help shed those winter pounds. Overall, Kapha-reducing Yoga postures are often poses that open the chest (the “home” of Kapha), twist the spine and abdominal region, create heat and promote circulation. Since Kapha is sthira or static (non-moving) by nature, the Yoga routine should be done at a steady pace, while you avoid holding any posture for too long (unless otherwise indicated). As always, it is important to breath through the nose and use the breath to flow from one posture to the next. The following sequence of postures ideally are done altogether in a flowing, vinyasa style movement. However, if time is short feel free to pick and chose the asanas that are needed most for that particular day. For example, if you only have 15 minutes, simply do three sun salutations, followed by the “plank to side plank” vinyasa, to Paschimottanasana (forward fold), and finally to Padmasana (lotus pose) for 5 breaths. This is not an all-or-nothing routine, and just showing up is always better than skipping it altogether! The best time for practice will be early in the morning on an empty stomach; however, anytime is better than none. Find a time that allows you to make this a consistent part of your routine and practice this or some variation of this routine 5-6 times each week. ***If at anytime you begin to lose your breath or need a break, please take child’s pose or down dog; however, only stay for 1-3 breaths and keep things moving! There is not much better way to reduce Kapha than the good old fashion sun salutation. If you are just getting started with this sequence, I would start with a slow, but steady pace, moving through to a low lunge (see below) posture. Once you begin to build strength and stamina overtime, you are welcome to take the low lunge to a high lunge, as you increase the potency of the sequence. Although there are quite a few ways to perform Surya Namaskara, I have listed a basic run-down of this vinyasa krama at the very bottom of this article. No matter which version you are practicing, remember only hold each position for one breath. With the legs in the camel pose position, inhale the left arm through center, to the right side and over the head. The right hand grabs the back of the right ankle during this time. Exhale the left arm back through center. Switch arm positions and inhale the right arm through center, over the head and to the right side. Left hand is on the back of the left ankle. Exhale the left arm back through center; this is one full round. Repeat 5 full rounds total. After the last round, come into the full pose and hold for 5 deep breaths through the nose. Paschimottanasana (seated forward fold) will offer a nice counterpose to all of the back bending postures thus far. However, to keep things moving we will once again add a sequence, exhaling forward to paschimo, and then inhaling back to its opposing counterpart purvottanasana (sometimes called reverse plank). Purvottanasana is an exceptional posture for Kapha, as it will undoubtably increase the heat while opening the chest and providing space for all of the vital organs in the solar plexus region. Once you get the hang of it I definitely recommend challenging yourself and staying in Purvottanasana for several breaths each time you visit it during this sequence; to begin, just hold one breath each poasture and if possible hold the last Purvottanasana for 3-5 breaths. Exhale, forward fold (Paschimottanasana); hold one breath. Inhale, back to Purvottanasana (reverse plank); hold one breath (or longer). Repeat 5 times total; on the last Purvottanasana hold 5 full breaths before coming down to neutral. Navasana or “boat pose” is an excellent pose for strengthening the core, increasing heat and promoting clarity and focus. After the last Purvottanasana, come back to Dandasana and from there lift the legs up to Navasana. Hold this posture for 3 long, steady breaths to begin, increasing the duration overtime to 5 breaths or longer. Before coming down to our backs, a powerful twisting posture is in order. Twists are beneficial for any stagnation or toxicity that accumulates in the GI tract and/or the spine. Twists act to massage this area, as it wrings out the stale energy and welcomes in new blood flow the vital organs and spine. Twists are great for increasing digestion without creating too much heat (Pitta) in the system. This posture can also be replaced by other seated twists such as Marichyasana II, III or IV. A Kapha-reducing Yoga routine would not be complete with out a major backbend. Of course, if you have any lower back issues, I would come into this posture very cautiously, and come out if there is any discomfort or pain in the spine, neck or back (or omit altogether). Urdhva Dhanurasana or the “upward facing bow pose” (aka wheel or back bend), is a powerful pose for opening up the chest, shoulders and entire abdominal region. Practicing this posture helps to remove heaviness, grief, depression and congestion (aka Kapha, Kapha, Kapha), while increasing confidence, energy, motivation and self-esteem. Some of the major organs that possess a strong Kapha component include both the thyroid and the kidneys. These final two postures work many areas of the body; however, they are specific for stimulating these Kapha organs as they strengthen the kidneys, stimulate the thyroid and increase the metabolism. Sarvanagasana (aka shoulder stand) is also a powerful inversion posture that helps to remove obstructions, increase circulation and promote new energy throughout the entire body and mind. From the previous posture, come down onto the back. Once flat, begin to lift the legs up to 90 degrees. Come back to Halasana (plough pose) and stay here for 5 breaths. Once you are ready, begin to lift the legs up to Sarvangasana as you place your palms on the kidney region. Make sure you do not turn your head in this posture, keeping complete alignment with the spine. After 1-5 minutes, slowly bring the legs down back into plough pose for a few breaths. Then slowly roll back into a neural supine position. Finish this series with 1-2 minutes in the counterpose Matsyasana (fish pose). Since this is a Kapha-reducing Yoga series, we have to avoid Kapha increasing postures and this includes the infamous Shavasana (corpse pose). Therefore it is a better option to end the series with a short meditation in Padmasana (lotus pose). From the ground, slowly make your way up to a comfortable seated position. Close you eyes and place your palms at the heart center in prayer pose. Quiet the mind and bring the focus to each inhale and exhale as they flow in and out. After 1-3 minutes here, take one last deep inhale, bow on the exhale and slowly make your way up as you begin your day. Namaste! Stand in Tadasana (mountain pose) with hands in “prayer position”. Inhale arms and gaze up, exhale swan dive to Uttanasana (standing forward fold). Inhale, Ardha Uttanasana (half forward fold) , exhale back to Uttanasana. Inhale right leg back to Ardha Bujangasana (also known as low lunge), open the chest as you lift the arms and the gaze. Step right leg back to plank. Inhale to low cobra or up dog (urdhva svanasana). Exhale back to down dog (adho mukha svanasana). Inhale, step right leg forward to Ardha Bujangasana (also known as low lunge) on the opposite side, open the chest as you lift the arms and the gaze. Step right leg back to plank; exhale down to Chaturanga. Step both feet forward to Uttanasana, exhale. Inhale, arms up overhead and join palms together. Exhale hands to “prayer position”. Repeat sequence 3 times to begin and build up to 5 or more. Once you feel comfortable, you can switch the low lunge to a high lunge for added intensity. 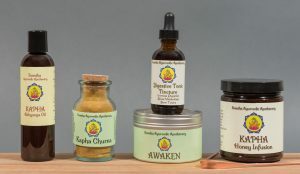 Discover our full line of Kapha-Balancing Products!